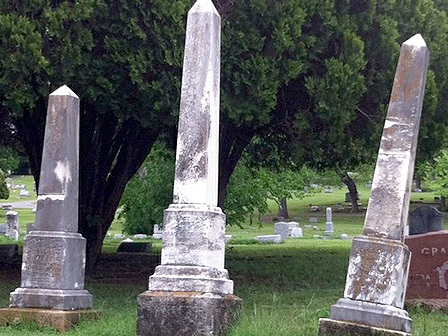 Cemeteries are among the most valuable of historic resources. They are reminders of various settlement patterns and reveal information about historic events, religion, lifestyles and genealogy. Unfortunately, historic cemeteries do not necessarily remain permanent reminders of our heritage. They are subject to deterioration from weathering and erosion, uncontrolled vegetation, development pressures, vandalism, theft and neglect. The loss of gravestones, fencing and other funeral objects has occurred to some extent in almost every cemetery in the state, and in some places even the loss of whole cemeteries has been tolerated, sanctioned or gone unnoticed. Such losses represent gaps in our collective heritage. The need for a comprehensive approach to cemetery preservation presents an enormous challenge to our state and is underscored by the fact that over 90% of property in Texas is in private ownership.